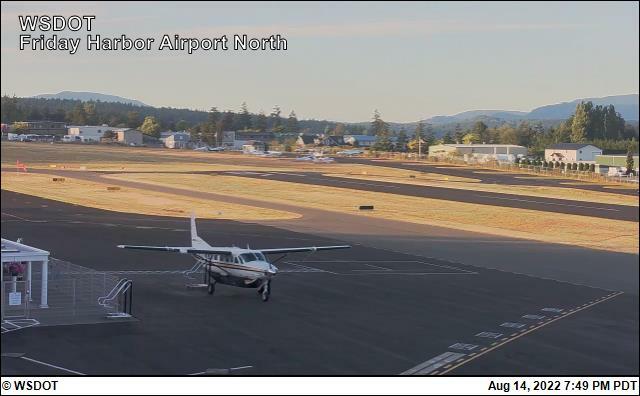 Note: There are four views from the Friday Harbor Airport web camera showing the airport from four directions. 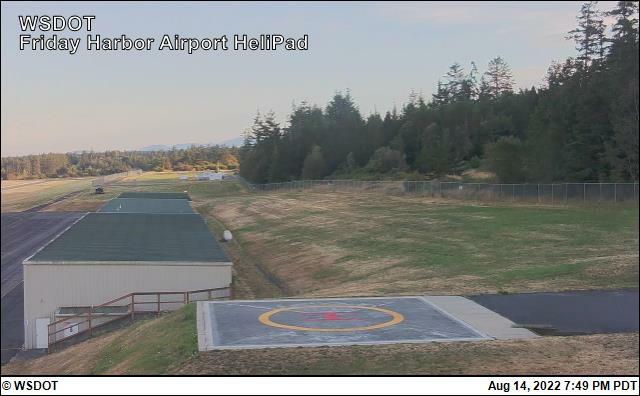 This web camera was purchased with WSDOT Aviation Security Grant Program funds and is operated courtesy of the Friday Harbor Airport. 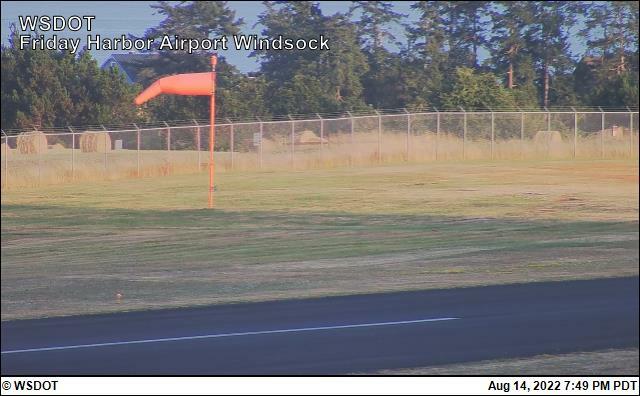 The camera is mounted on the top of the airport tower, located on the West side of airfield south of the commercial terminal building. The camera provides four views—Southeast towards Griffin Bay, South, East and North towards Mount Constitution. The images displayed should indicate the direction “Southeast, South, East and North” along with a time/date stamp. 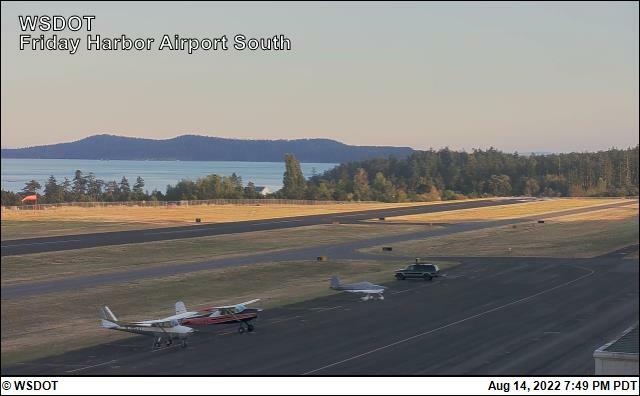 To report a problem with the camera contact: Friday Harbor Airport, 360-378-4724 or email timb@portfridayharbor.org.